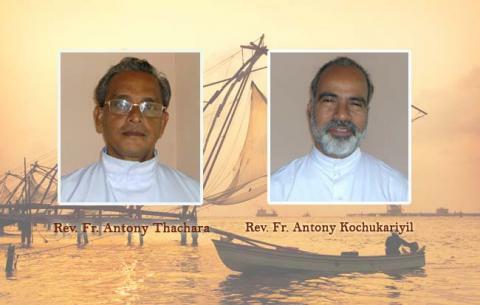 The Diocese of Cochin is proud to announce that Pope Francis has bestowed Papal Honors upon two priests for their dedication and exceptional service to the Diocese of Cochin. Rev. Fr. Antony Thachara and Rev. Fr. Antony Kochukariyil have been named ‘Chaplain of His Holiness’ (Monsignor) by the Holy Father. The honors conferred upon the priests by the Bishop Joseph Kariyil during the ceremony at the Bishop’s House on 28th June 2018, 4 pm.